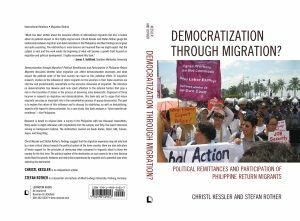 This site compiles research and provides ressources on the nexus between migration, democracy, and democratisation. 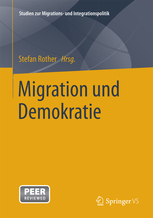 Rother, Stefan. 2016. “Democracy on the Move? 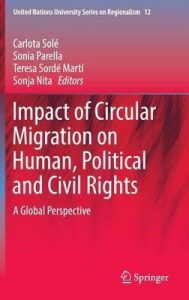 The Potential Link Between Circular Migration and Democratization.” In Impact of Circular Migration on Human, Political and Civil Rights, edited by Carlota Solé, Sonia Parella, Teresa S. Martí, and Sonja Nita, 195–216. United Nations University Series on Regionalism. 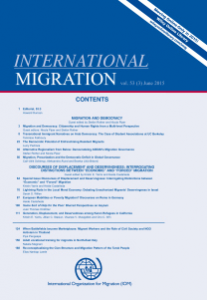 Cham: Springer International Publishing. This Appendix contains the questionnaires, interview Guidelines, coding schemes and additional survey data. Copyright by the authors.